Any players cannot move their body perfectly. Once learn how to utilize it efficiently, can improve velocity with less force and then command gets better and loads on throwing elbow and shoulder gets less. The expert on baseball mechanics sure will develop player's performance. When coaches improve player's mechanics, if they just do it with only their experience, feeling and imagination, it won't work out. It might work, but it doesn't in most cases. As some body segment affects other segment's motion through joint using muscle and bones, there's a reason or cause that the mechanics becomes like that. Coaches need to have an ability to have an insight of root cause as well as knowledge of physics and anatomy. When patients come see a doctor, the doctor can tell the method/process how to cure the disease/symptom, and prescribe medicine precisely. However, there's a case in which the disease gets worse or doesn't heal at all, because the doctor has never fixed it up and he managed to prescribe it with doctor's pride. It goes same way for coaches. You need to find the cause of problem and can see the process of how and where you fix to resolve the problems. If you just chage the motion without any grounds, you will train player in improper way and the player's performance wouldn't get better or it would lead to that the player keeps getting injured. If you don't understand properly about physics and body on mechanics, you can't improve all players mechanics. That is, as you transfer energy to ball eventually in pitching/batting, it is important that the way of generating and transfering energy where and how generates power, how transfers it. Even if you are just ex-professionals or played for top-notch team, you can't fix the motion dramatically. Also, as there are so many misunderstandings in baseball such as "Stand properly on back leg", "Shooto is bad", "Top", "Hip First", "Swing your arm", "Push with your back hand", it happens that player's performance doesn't get better even if you change the motion. The true technical coach is who can change any players' mechanics. Improve all players with outstanding analysis ability and instruction for body motion! ※ You will get a complimentary private lesson if you hook up others or collaborate with us as a monitor! Master's degree of sports science at Tsukuba University. Belong to Sports biomechanics Lab. Research baseball pitching and breakingballs. Technical analyst, Perth Heat in ABL. Won ABL championships and advanced Asia series. Team manager and interpreter, Gunma Diamond Pegasus in BC League. 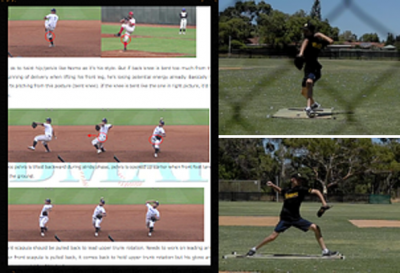 Video analysis, MLB Australia Academy. Technical analyst, Australia Women's National team at 2014 Miyazaki Worldcup. Won bronze medal. International Associate Scout, Pittsburgh Pirates. I've engaged in technical analysis with ex-major and minor leaguers. As I'm an expert on mechanics, I know where I should fix the bad body motion. Since I provide well-founded coaching based upon mechanical and anatomical analysis, I can improve players without any questions. A player can have more instruction time than group lesson. As I can instruct explicitly, the player gets way better. The cost is cheaper than group lesson considering with the instruction time for coach. Check out mechanics in details with high-speed video camera. Uploading the videos to cloud system, you can review it on your phone or tablet anywhere. ※Please warm-up before clinic starts. Video pitching/batting at multi angles with high-speed video cameras. Analyzing video, comment on how you utilize body and specify the problems and resolutions. You will understand how body works while the problem is being resolved. Need to use your brain as well as your body. Summarize the lesson on improvement points and existing problems for you to review at home. You can check it out on new web system. Please review it on your PC, tablet and cell phone. As he stands up on back leg taking a balance and the translational motion didn't generate momentum at all, instructed him to drive his center of gravity properly. He got to step further and generated more momentum than before, he understood more about the translational motion and it totally has become very effective one. 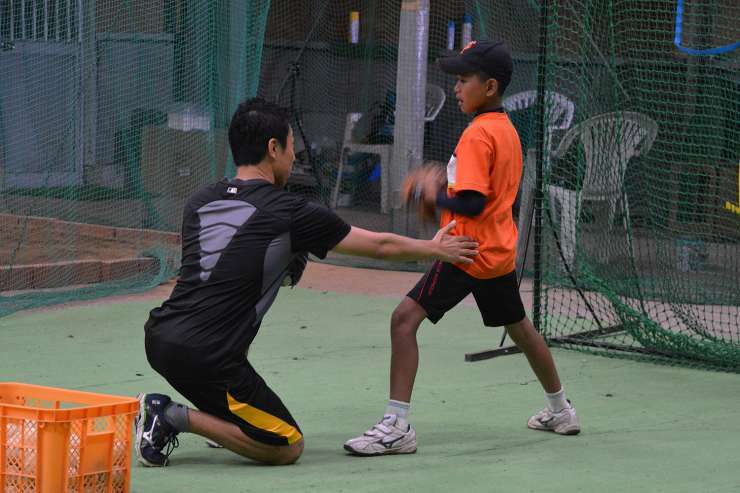 Instructing pelvis and trunk movement, the way throwing arm is swung has been improved dramatically, the release point has been brought further close to batter. He learnt the mechanics from driving body to throwing arm swung just in an hour, and not only the velocity went up but also he got to throw a pitch with which he can strike batters out. Analyze all breakingballs with this price! Why breaking ball doesn't move as you want? there are many players who suffer from the breakingball movement. This is because you misunderstand about breakingball and there's no other way for coaches to teach it other than from their sense. That is, there's no way to find the cause. We BMAI offer cutting edge, unique service for those kind of players. Analyze baseball revolution data which determines breakingball movement, find the cause why it doesn't move, help players out to improve/learn it. Only this price for all three analysis! You'll be checked several weeks after training based on the advices. We offer a service to those who cannot often come to clinic, which is analysis of pitching/batting mechanics from video. A specialist on motion mechanics summarize how to use body efficiently, problems and improvement points, and explain it as easily as possible. Please send us comments of what you suffer from, that you don't know what to do, that you want to be like this, etc, along with the video. ＊Please video from four angles in slow-motion. If it's difficult, it'd be fine from possible angles. You can see detailed movement with high-speed camera. Please feel free to contact us on other schedule or locations of clinic. Press 'Like' button and get good deals! ※ Confirmation screen will not show up. Please press 'Submit' button after confirm the contents. © 2015 Baseball Movement Analysis Institute. All rights reserved.